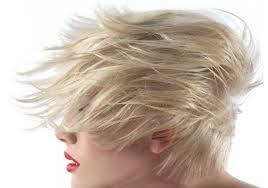 ​​The Blackight lightening system is the key to navigating the complete spectrum of blondes effortlessly. Any blonde you can imagine is now attainable! Who says maintaining healthy and hydrated blondes is hard work? Every Blacklight product has been specially formulated to cater to the complete spectrum of blondes whether they are highlighted, bleached or colour treated. Thanks to its proven ingredients, Blacklight replenishes hair for touchable results! the level of irritation to the skin and scalp. ◆ When shampoos containing salt are not rinsed out properly, they cause dryness of the hair and scalp and colour to fade faster. Blacklight by Oligo Professionnel (@oligopro) offers an award-winning lightening system which offers stylists complete control over the lightening process! All 4 lighteners are FULLY intermixable! This means the stylist can use each lightener alone or mix them together to customize the texture, viscosity, level of lift, conditioning and the lightening speed all based on the needs of the guest. This comprehensive lightening system caters to all needs, from sensitive scalp, to high performance platinum blondes, free hand techniques and even colour correction ! In addition, Blacklight offers Smart Developers infused with Gradual Bond Protection Technology; this technology strengthens hair bonds and protects the surface of the hair during chemical treatments.